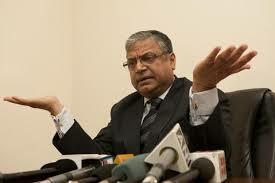 “We want a person of impeccable integrity and fine legal mind,” Justice Lodha reportedly stated. Newly-appointed Solicitor General Ranjit Kumar concurred with the CJI’s view on appointment of a Special Public Prosecutor, saying that he has been special counsel in several other cases including Parliament attack case. The CJI said “consent” of the person would be necessary for considering him as SPP and it should not be restricted to the lawyers practising only in Delhi.